We learned earlier this year that Rocket League is going to be released for the Nintendo Switch. We also heard that there’s going to be content that will be exclusive to the Switch version of the game. Well, Psyonix just sent out a press release confirming the Rocket League release date for the Nintendo Switch. Fans have been waiting for this announcement. 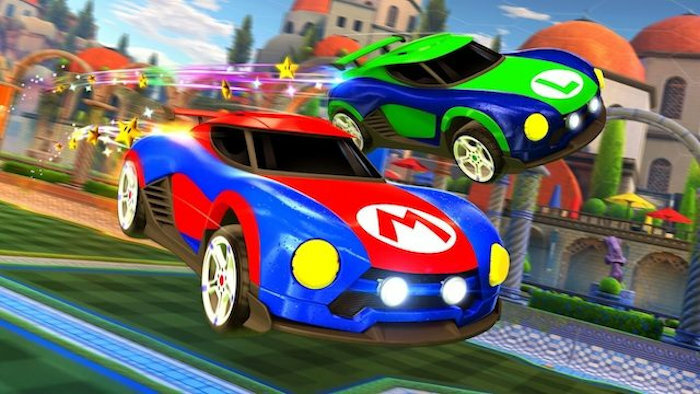 The Nintendo Switch version of Rocket League will feature three Nintendo-themed cars. They’re called the Mario NSR, Luigi NSR, and Samus’ Gunship. All three will be included for free, but players will need to unlock them first naturally. The Mario NSR and Samus’ Gunship will only be available for players on the Orange Team while those on the Blue Team will be able to play with the Luigi NSR and a variant of Samus’ Gunship. That should be a lot of fun. There are also several exclusive customization options in this version. Players can unlock Mario and Luigi hats as Toppers for any non-licensed customizable Battle-Car. Rocket League will be released for the Nintendo Switch on November 14th. So you won’t have to wait long. Switch owners will be able to get this title for $20. Great news for fans.